How to make your job application stand out with less or no work experience in Ghana 2018. You have been applying for jobs for a while now and you have not received a single call from the employers. Believe me, this can be as a result of tight competition in resumes the employers received. From a previous article, i talked about how internships can help you land a full time job after graduation. From the article it was pointed out experience is the major factor considered in applicants selection for interviews by employers. Well in this article, i will talk about how you gain Competitive Advantage over most applicants to help you land that interview. I have two words for you. Professional Certifications!!! 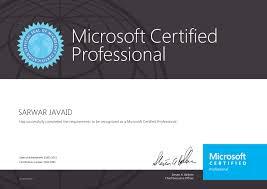 Professional certifications are a process by which a person develops the knowledge, experience, and skills to perform a specific job. Once the individual completes a course of study, he or she receives a certificate earned by passing an exam that is accredited by an organization or association that monitors and upholds prescribed standards for the particular industry involved. 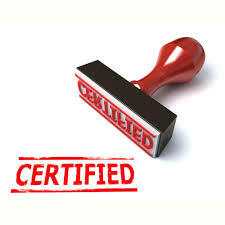 A professional certification or designation provides an impartial endorsement of a particular professional skill set, knowledge, or experience level. Certifications are typically earned from a professional organization, trade association, or IT vendor by taking an exam that evaluates an individual on his or her aptitude. From the definition of Professional Certifications, we can infer that a Professional is someone who has undergone a long period of training or rigorous apprenticeship and who has been certified to have acquired enough knowledge and skills as to be deemed competent or proficient to render services in a given vocation. What are some examples of Professional Certifications? Note: You can google Professional Certifications for more. Obtaining a professional certification often requires a significant time investment, as it involves studying for the exam and possibly taking a prerequisite class. However, the time commitment is typically worth it given the array of career benefits that can’t be obtained with other advancement techniques. If you want to be the best three-point shooter on your company’s intramural basketball team, you should probably spend a lot of time on the court. Similarly, if you want to be the best at your job, you need to devote the time to improving your professional skills and experience. A certification accomplishes this task and gives you an edge over those who don’t have one. Perhaps the biggest incentive for earning a certification is the credibility it lends to you and your professional abilities. The certificate you receive is concrete, indisputable proof to employers, colleagues, and clients that you are a capable and qualified professional. Most employers are willing to pay more for people who bring a little something extra to the team, whether it’s a particular skill set, experience, or designation. A professional certification isn’t a one-way ticket to a bigger salary, but it will certainly give you leverage in asking for a raise from a current employer or negotiating compensation terms with a new one. A professional certification is like a gold star on your resume. It shows that you’ve gone the extra mile to make yourself the best you can be at your job. Plus, nothing says job commitment like devoting a chunk of your after-hours (and money) to furthering your career. Current and prospective employers will take notice. A professional certification is a card you want to be holding if you’re trying to take your current job to the next level, apply for a promotion, or land your dream job. It’s not going to be easy, but earning yours just might be your best career choice yet. Feel free to comment below. Relevant comments are invited.